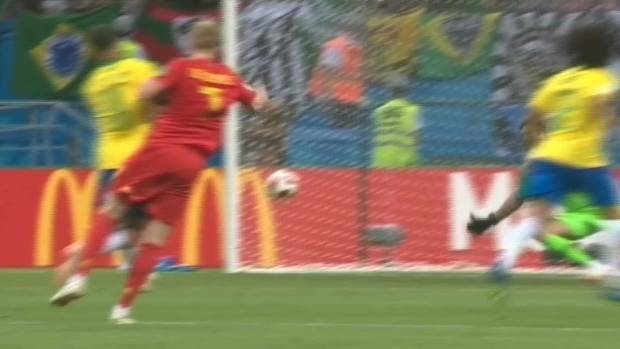 Belgium are through to the semi-finals and they’ve done it by knocking out Brazil. Neymar used Brazil’s famed yellow jersey to shield his anguish. The Belgians, clad in red and dancing in a celebratory circle nearby, couldn’t hide their relief. 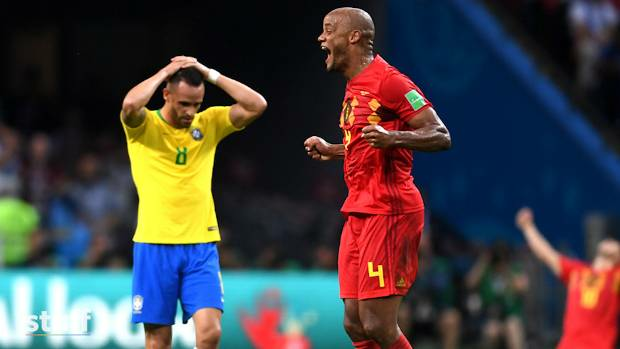 Belgium reached the World Cup semifinals for the first time in 32 years, holding off five-time champion Brazil 2-1 Friday (Saturday NZT) in one of the country’s greatest football feats. Belgium’s Kevin De Bruyne, center, celebrates after scoring his side’s second goal during the quarterfinal match between Brazil and Belgium. It all adds up to a semifinal match against France on Tuesday (Wednesday NZT) in St. Petersburg. World Cup Daily: Football’s two biggest continents did battle today, but only one came out on top. Fernandinho of Brazil is challenged by Nacer Chadli of Belgium during the World Cup quarterfinal. Criticised for his playacting, Neymar went down lightly under minimal contact from Marouane Fellaini at the start of the second half when Brazil trailed 2-0. But as the referee started to seek a video review, Neymar appeared to urge against it. A booking – if he got one for diving – would have ruled him out the semifinals. Either England or Sweden will face either Russia or Croatia in the other semifinal match on Wednesday in Moscow – a day after Belgium plays France in St. Petersburg.